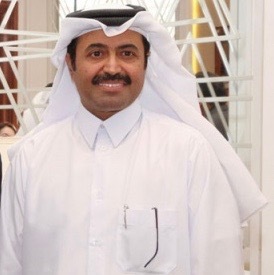 On Monday, December 3, Qatar’s Energy Minister Saad al-Kaabi, has announced the country’s withdrawal from OPEC (Organization of the Petroleum Exporting Countries) as of January 2019. Member of the organization since 1961 with a production of 600,000 barrels per day, Qatar was one of the smallest members. Sarens has mobilised 17 cranes to help building the Al Bayt Stadium, one of the eight stadiums of the 2022 FIFA World Cup, hosted in Qatar from November 21 to December 18, 2022. This operation was made possible by Sarens’ crane rental division represented by Qatar Al-Attiyah International Group, which has been working closely with Qatar’s Supreme Committee for Delivery & Legacy on the construction of Qatar’s eight major World Cup stadiums. In collaboration with the Salini Impregilo Group and Galfar and Cimolai joint venture (GSIC JV), along with Cimolai S.p.A., Sarens has provided cranes for the construction of the Stadium in the City of Al Khor. A total of 17 mobile and crawler cranes are deployed on-site over a period of 18 months, including a Demag CC 6800, Liebherr LR 1750, Liebherr LR 1400, Liebherr LR 1300, Liebherr LR 1280, Liebherr LR 1250, Liebherr LR 1200, Liebherr LR 1160, Liebherr LR 1130, Liebherr LR 1100, Liebherr LTM 1500, Liebherr LTM 1350, Liebherr LTM 1250, Liebherr LTM 1160, Liebherr LTM 1070, Kobelco CKE 1350 and a Tadano GR 800 EX. The stadium’s design is inspired by traditional Bedouin tents. Once completed, the stadium will host 60,000 football fans in an area of 200.000 square meters. The preparations for the 2022 World Cup also include construction on the Doha Metro System, new orbital highways and expressways.